These pet health plans include variety of preventative care services including vaccines and blood work, and even dentistry, electrocardiograms and radiographs depending on the level of plan you choose. 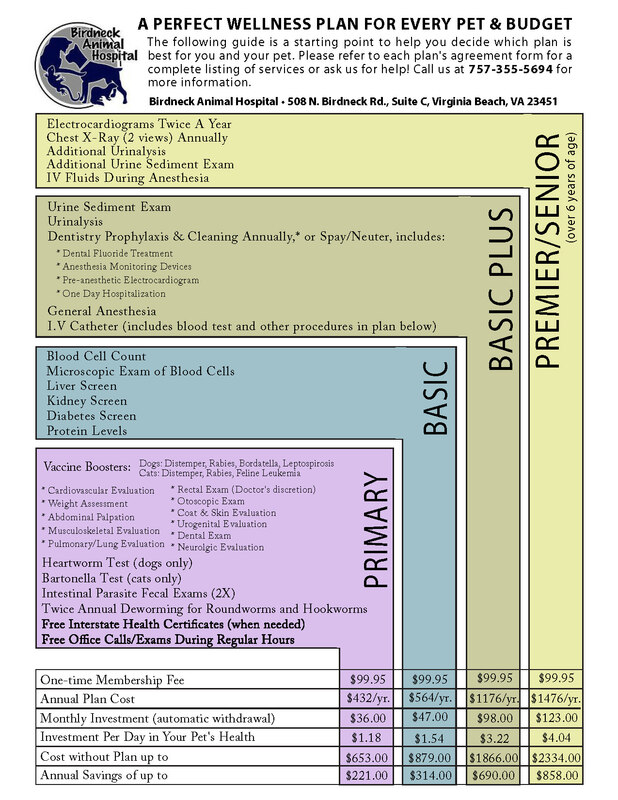 In addition to these services, every plan offers unlimited free exams during our office hours! 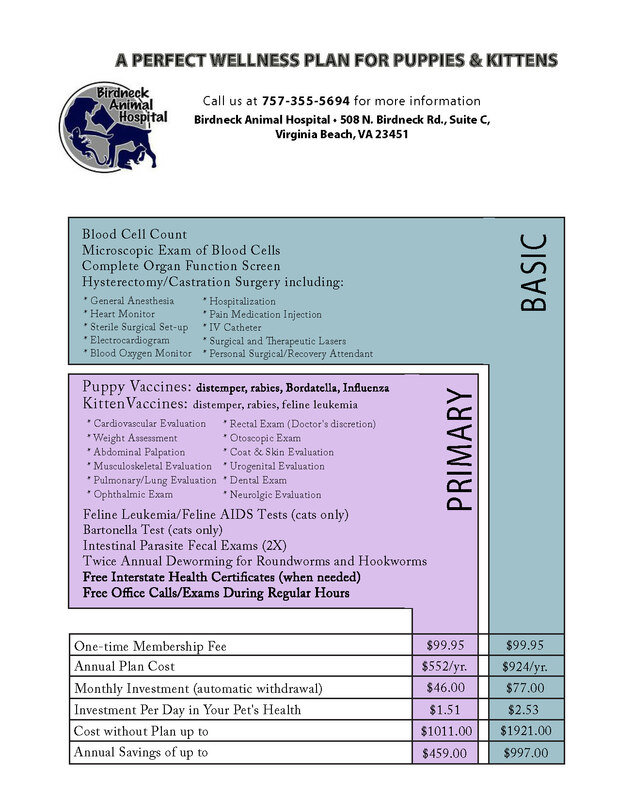 Each of our pet health care plan prices offers substantial savings over the standard price of the included services. Plus, additional discounts are given off of services not included in the health care plan. These pet wellness plans help make caring for your pet easy, convenient, and affordable. You are now able to spread your pet’s health care costs over 12 months, for just over $1 a day!